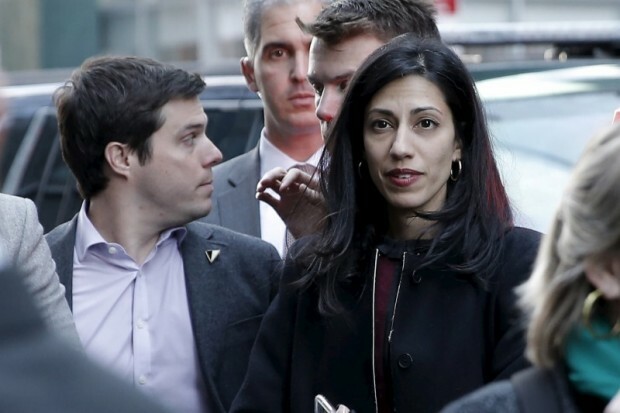 The Clinton campaign coordinated with Nevada Sen. Harry Reid to use The New York Times to smear the State Department’s deputy inspector general as State’s internal watchdog was investigating Clinton aide Huma Abedin, The Daily Caller can report. DiSanto is Emilia DiSanto, the second in command at the State Department’s office of the inspector general (OIG). In a Nov. 16 New York Times article, Maggie Haberman quoted Jentleson, Reid’s communications director and one of the most powerful staffers on Capitol Hill, questioning whether DiSanto was leaking information to her former boss, Iowa Sen. Chuck Grassley, about an OIG investigation of Huma Abedin. Grassley had revealed that the investigation centered on Abedin’s status as a “special government employee” at the State Department. The Republican, who chairs the Senate Judiciary Committee, had threatened to hold up 20 State Department nominations because he had not received documents he requested in June 2013 about Abedin’s status. Several days after The Times article was published, Grassley pushed back aggressively on the accusation. He said that DiSanto was not his source and that the source was known to the staffs of two other prominent Democrats, Vermont Sen. Patrick Leahy and Maryland Rep. Elijah Cummings. The lawyer for the whistleblower was also known to the Democrats and was a former staffer for California Sen. Dianne Feinstein, Grassley said. Other emails hacked from Podesta show the Clinton campaign coordination with Reid and other Democratic senators. In a Nov. 9 email, Miguel Rodriguez, a former Clinton State Department official who know works as Abedin’s lawyer, informed others at the campaign that Reid was set to “hit Grassley” during a speech on the floor of the Senate. “Have mentioned to Cheryl — Reid’s staff intends to do more than this one floor speech,” Rodriguez wrote. Reid gave one floor speech attacking Grassley. He went on a tirade — typical of the Senate Minority Leader — against Republicans and Grassley for holding up the State Department nominations. Another email traded among the Clinton insiders carries a strong scent of coordination and dirt peddling. A Oct. 29, 2015 email entitled “Johnson/Grassley call” shows the Clinton team coordinating a time to hold a conference call, seemingly to discuss an issue related to Grassley and Wisconsin Sen. Ron Johnson, the chair of the Senate Homeland Security Committee. Rodriguez did not return an emailed request for comment about the email exchanges. Schiliro also did not. Nor did Jentleson. The Clinton campaign has refused to answer any questions about Podesta emails released by Wikileaks. There is no indication that Haberman knew that Fallon and Reid’s staff were scheming to smear DiSanto, whose only only appearance in the news came in 2005 when she was attacked by a robber at her home in Virginia. DiSanto was Grassley’s chief investigator at the time. The FBI investigated whether the assault was related to her work. Haberman has been used by Clinton operatives in the past to “tee up” stories for the former first lady, other hacked documents have revealed. “We have has a very good relationship with Maggie Haberman of Politico over the last year,” Clinton’s traveling press secretary, Nick Merrill, wrote in memo in early 2015, before Haberman left Politico for The Times. A spokesman for the State Department’s IG referred The Daily Caller to DiSanto’s comments last year after The Times article was published. “These allegations are utterly false. I am not, nor have I been, either directly or indirectly, a ‘confidential source’ for Sen. Grassley or his office,” she said. A spokesperson for Grassley’s office blasted Fallon and the other schemers. “This email shows coordination between top Clinton campaign operatives and Senate minority leadership staff in shopping an inaccurate story to undermine congressional oversight efforts,” the spokesperson said. Fallon has questioned the integrity of the State OIG several times since the effort to smear DiSanto. “Coincidentally, Senator Grassley seems to come upon possession of many of the details of the State Department IG’s reviews. And strangely, just coincidentally they end up leaking out,” Fallon said at the time. And in May, after the OIG released a scathing report hammering Clinton over her private email use at the State Department, Fallon again attacked the watchdog’s integrity and DiSanto.